Our Life Down Unda: sun. sand. 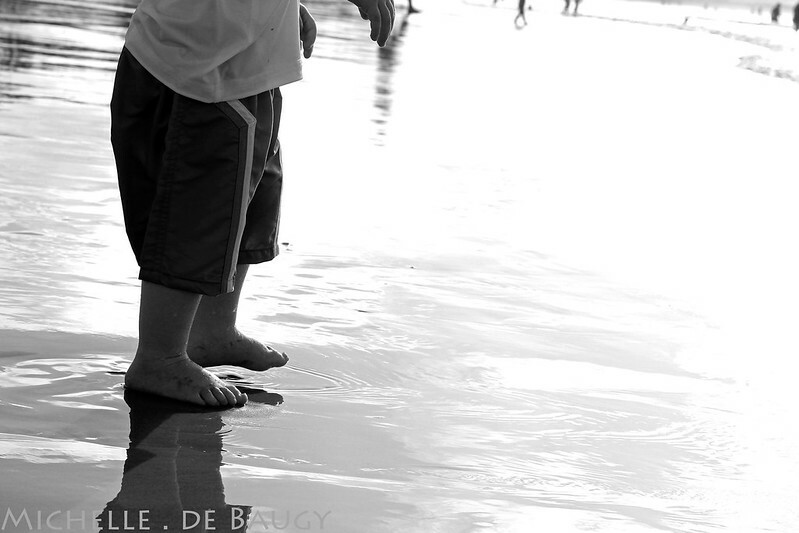 surf. 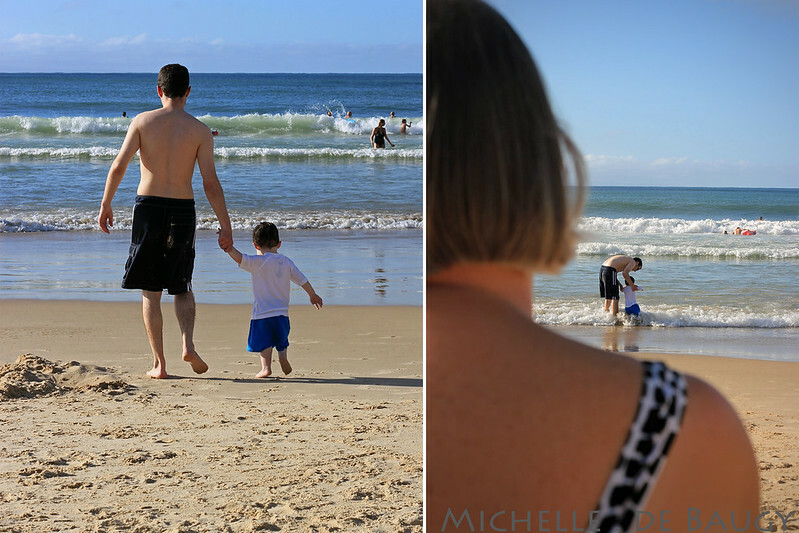 After a few days checking out the more local areas around our house, we headed about 2 hours north of Brisbane to Noosa for a long weekend at the beach. 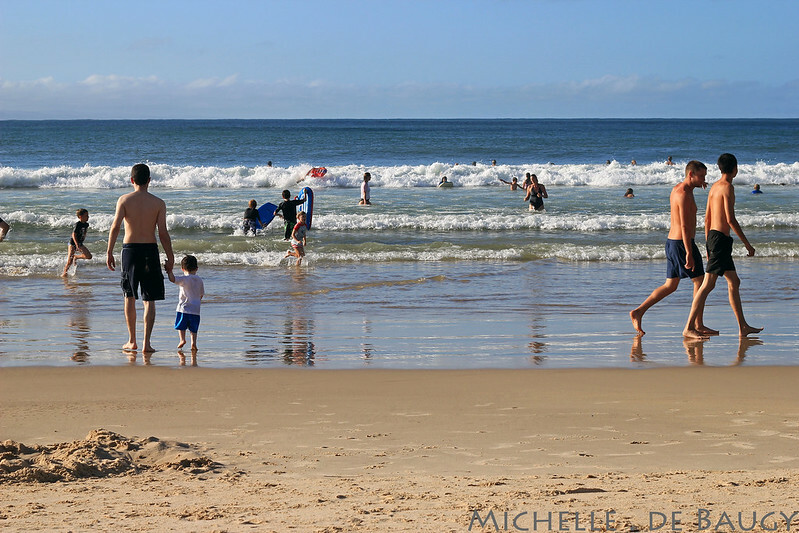 Noosa is a beautiful seaside town with lots of shopping, good food and a safe family beach. 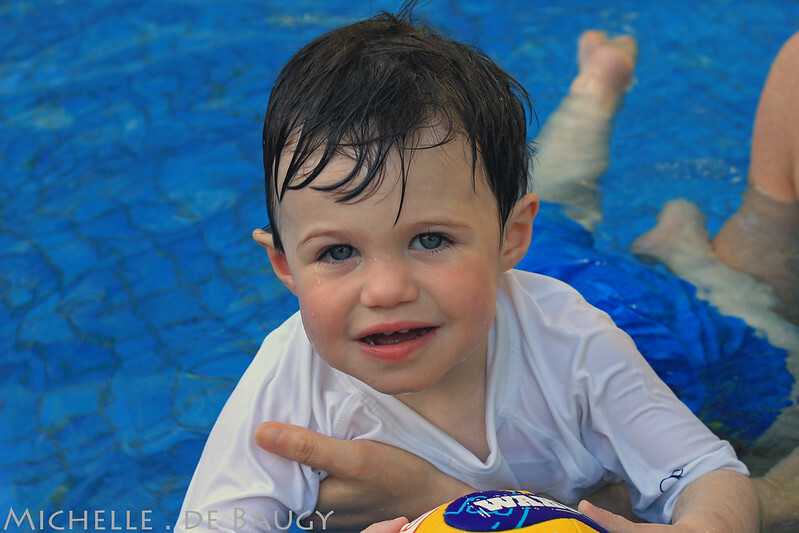 After checking into our accommodation on Friday afternoon, we headed straight down to the pool so that Jack could go for a swim! 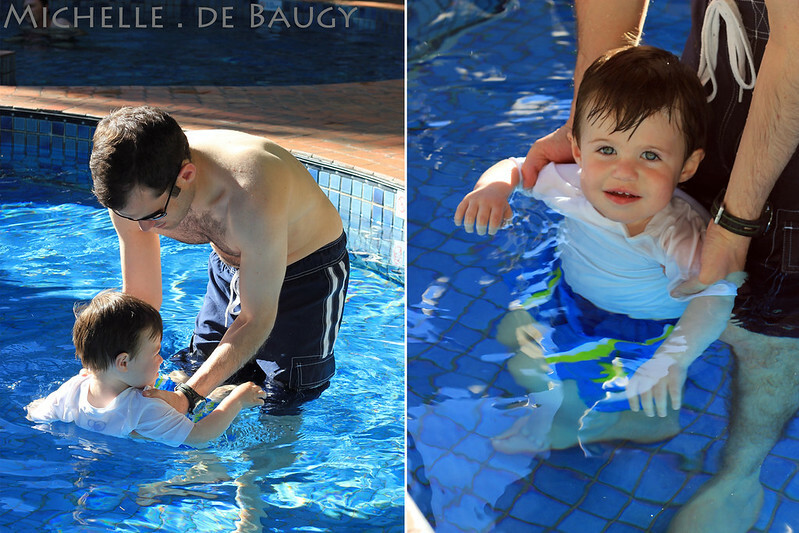 As he is not even two yet and just coming out of winter in Boston, this was one of his very first swims! 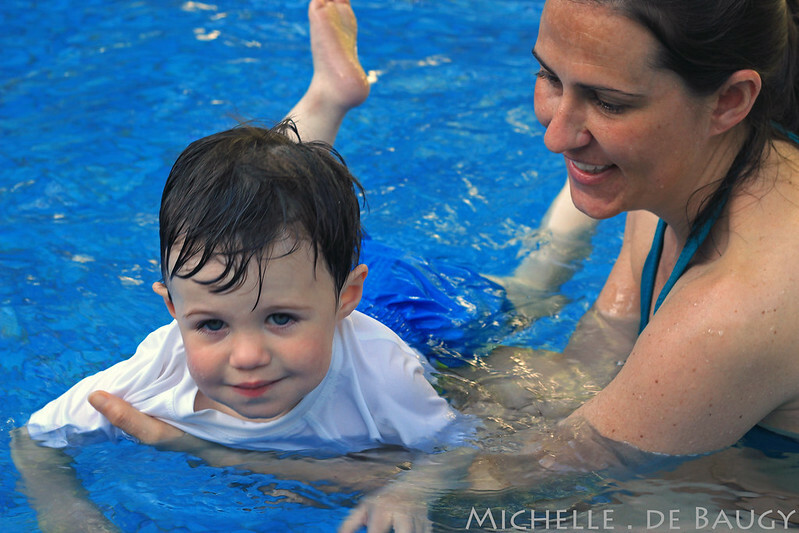 As a lifelong swimmer myself, I am very happy to report... he LOVED it! He loves bath time so I guess it was no surprise he loved the pool too. 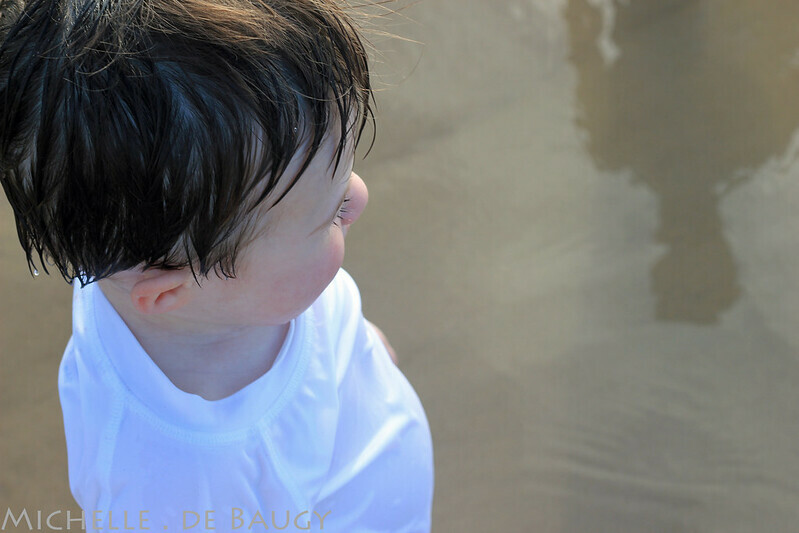 He was like a little fish in water! I almost caught a smile here.... so close yet so far! 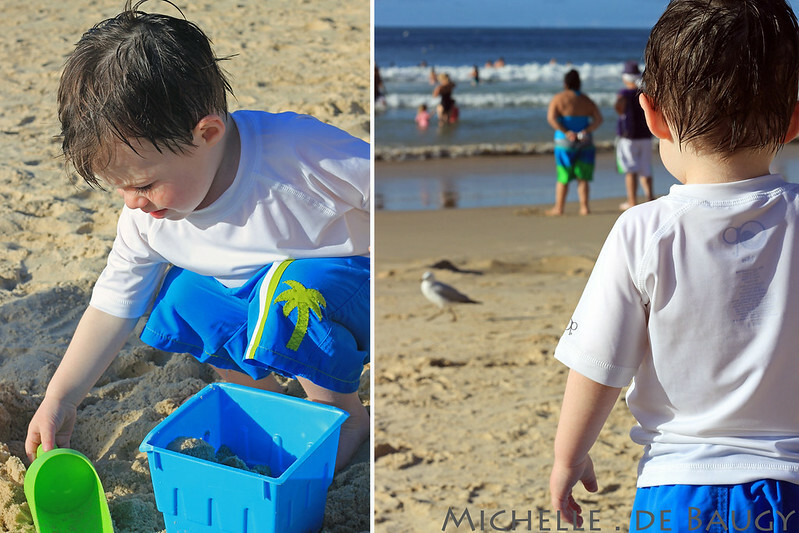 After the great pool experience we decided to head down to the beach and take advantage of some late afternoon sunshine. Max and Byron were arriving later that night (poor guys had work/school that day) so we just hung out down at the beach for the rest of the afternoon. 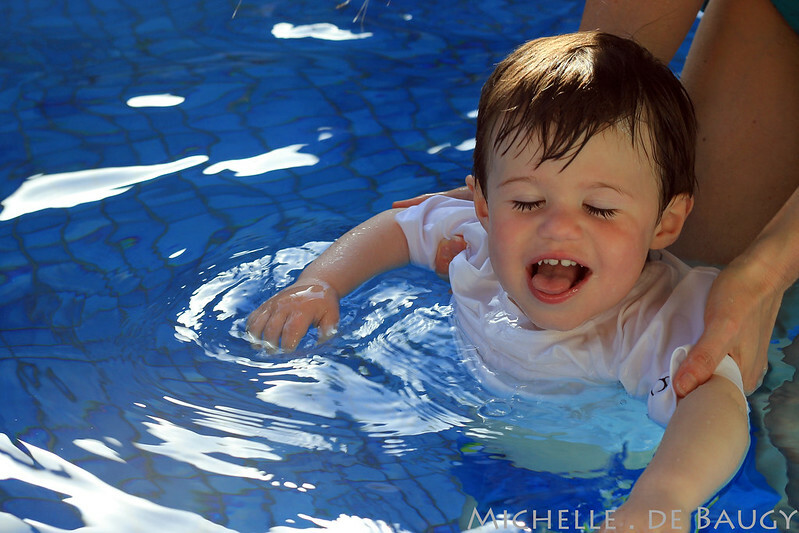 Just like the pool, Jack took to the ocean like a little fish. 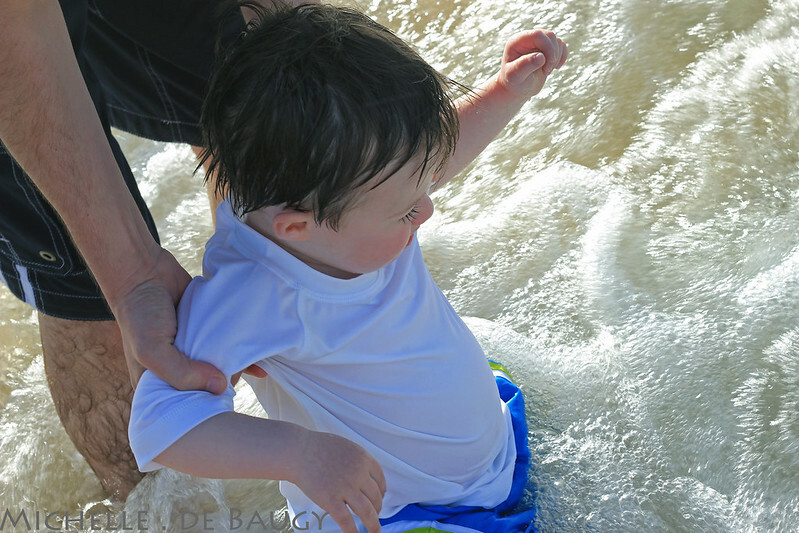 Even after taking a wave straight to the face, he got right back up ready for the next one. Mimi and Jen watching the boys enjoy the waves. Gotcha!!! I think this is the only (almost full) smile I caught during the entire trip. 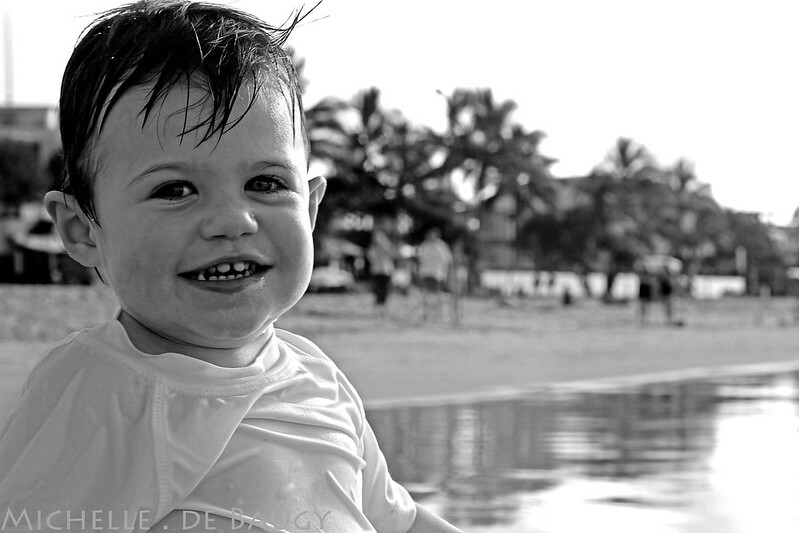 He smiles all of the time but I think I am just so busy looking at him that I always miss it with the camera. Every time people come over from the States, I struggle with deciding on what exactly to show them while they are here. Australia is a HUGE place (obviously) and it is really hard to decide what kind of adventures to take our guests on. Do we fly around the country and see the major Australian iconic places (the Outback, the Sydney Opera House, the Great Barrier Reef)? Do we take them on four wheel drive trips up the beach and down scary dirt tracks? Or do we keep it local and show them around the city where we live- giving them a taste of real life here in Brisbane?? Just think- if you had guests coming to the United States for the very first time in their lives... where would you take them? New York? Vegas? Miami? Would you travel with them to these places or would you plan trips for them to take on their own? See, it is just so hard to decide! 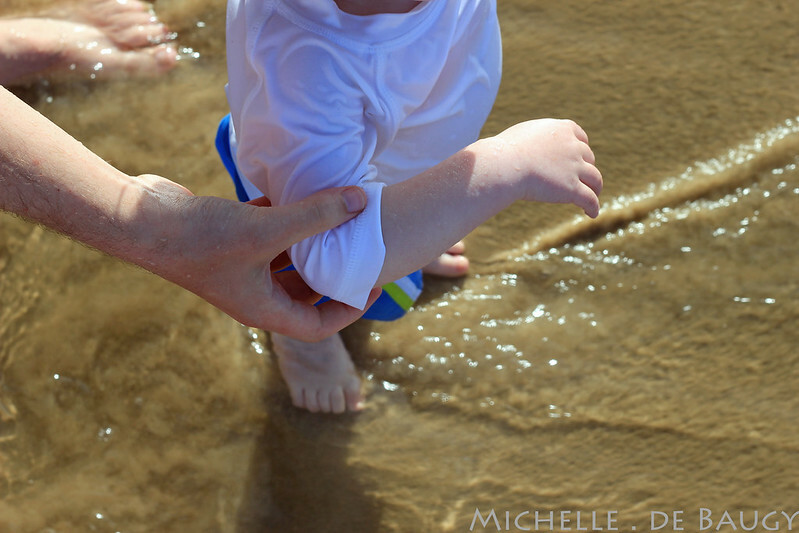 For Jen, Dave and Jack's first trip to Australia we decided to plan a rather relaxing itinerary that involved room for mid-day naps, safe beaches and fun animals. Overall I think it was a good activity schedule for a two year-old but still gave them a taste of Australian life here in Queensland. 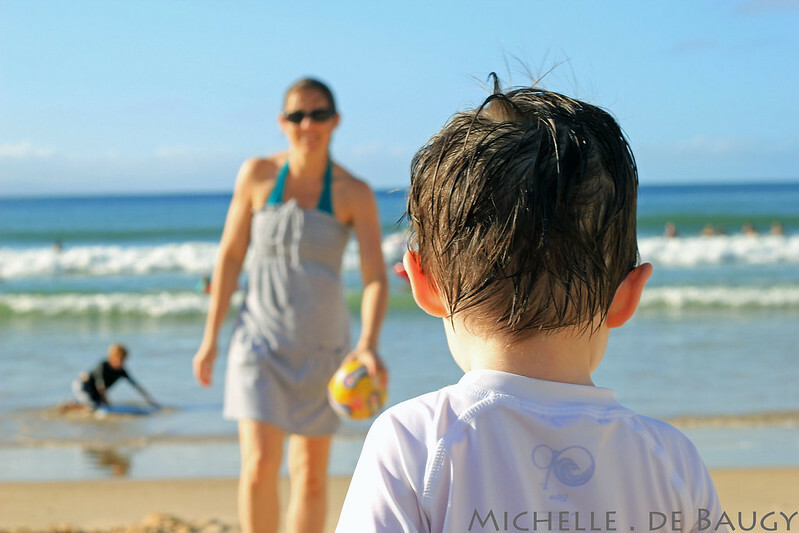 Their next trip (in 3 years which I now have in writing, mwahaha) will most certainly involve a bit more adventure and surf lessons for Jen, Dave AND Jack!